Another four recent arrivals from the Public Eyesore label and its subsidary Eh? Aural Repository. 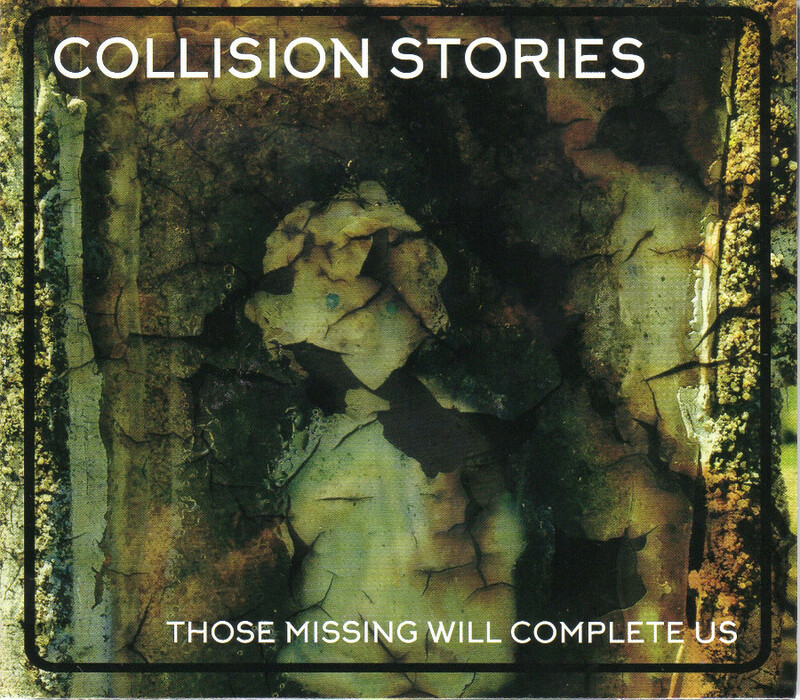 Collision Stories are something of an improvising “supergroup” of the Bay Area, featuring label boss Bryan Day, Mason Jones (the man behind Charnel Music and SubArachnoid Space), Jorge Bachmann (who is ruidobello and one half of Snowsteps), and Michael Gendreau, who is best known as Crawling With Tarts – never liked that name, but the Tarts’ use of motors and found records to create creepy grinding noise was non-pareil. On Those Missing Will Complete Us (PE137), the foursome use a wide range of methods and unusual instrumentation to create an hour-long epic segmented into ten parts; their efforts deliver strange and exotic noises, plenty of incident and subtle contrasts of timbres, and a situation where no one player can really be held accountable for the totality. There’s no denying the restraint and performative skills of all those involved. A sinister mood hangs over the proceedings though, and it’s hard to shake it off; a ghastly horror-movie presence creeps towards us very slowly, but there is no real payoff to all the tension. Lugubrious, nocturnal, grim; a swamp of unpleasant noises sucking us in to the bottom. 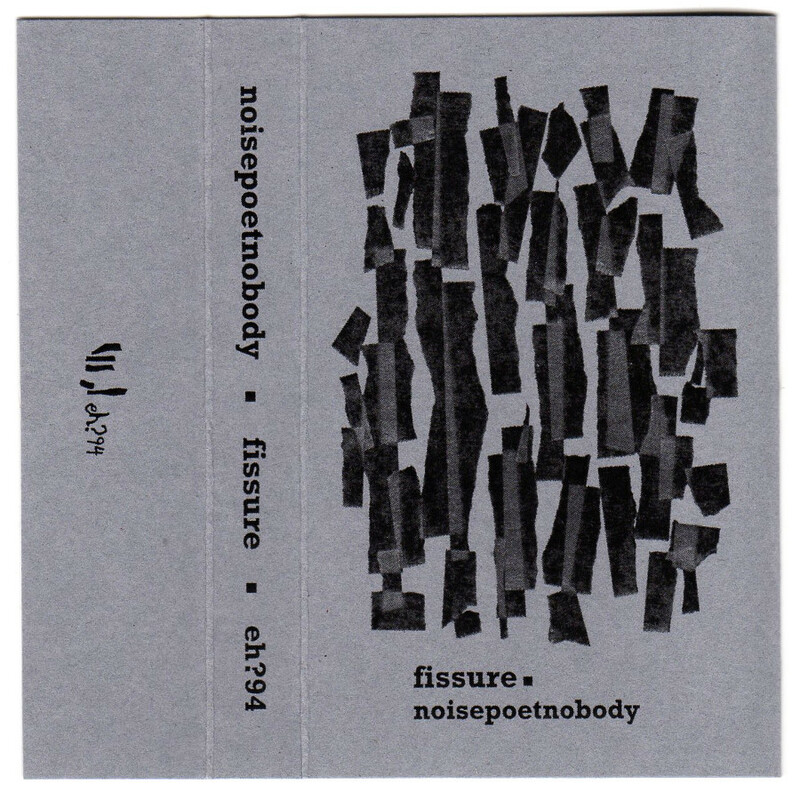 All-percussion music on Fissure (EH?94) by noisepoetnobody, who is joined by Eveline Müller on these 2016 recordings made in Seattle. While Müller takes the relatively conventional route of striking bowls and bowing pieces of metal, noisepoetnobody performs on his array of springs, wooden boards, and such; outside of the e-bow and the “looper”, it looks like electronics were kept to a minimum. Slow, ritualistic, deliberate; the soundtrack to a mysterious ceremony that cannot be understood. 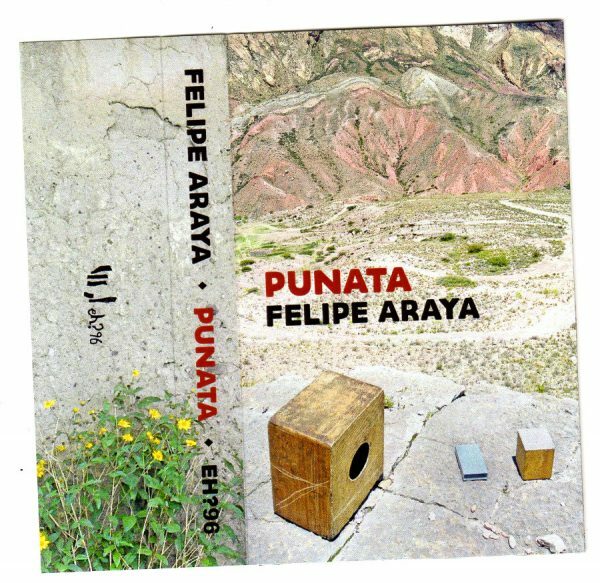 Felipe Araya is a Chilean performer who takes an unorthodox and minimalist approach to playing his Peruvian cajón, a box-shaped percussion device. The conventional way to play it is to strike the sides of the box with sticks or hands. Instead, Araya uses it like a table-top with various small objects laid on top of it, which he rubs and strikes and scrapes. On the cassette Punata (EH?96) you can hear him (almost) doing just this; the first side is interspersed with lively field recordings from the streets of Bolivia, which he captured on his mobile phone, while the second side ‘No Punata’ is the document of a minimal-rumbly cajón performance, with some exciting moments of heavy sawing and rubbing actions. The fact that Cristián Alvear recorded this (he’s the Chilean quiet guitarist and acolyte of the Wandelweiser school) may clue you in to what to expect, but even so it’s not as “uneventful” as I might be making it appear. It might not be too far off the mark to liken Felipe Araya to Alfredo Costa Monteiro, who likewise “repurposed” a conventional instrument (the accordion) and was not averse to a good scrape-and-rumble bout. There may also be some mileage in the thought that a Chilean musician is trying to find inroads into the cold, European school of Wandelweiser, and colonise it on his own terms. Oakum (EH?95) is an engaging piece of electronic sound-art created by Irish artist Eoin Callery, who recorded it at the Center for Computer Research in Music and Acoustics in Stanford. He’s interested in objects, installations, “electroacoustic chamber music”, as he calls it, and builds instruments from found objects. 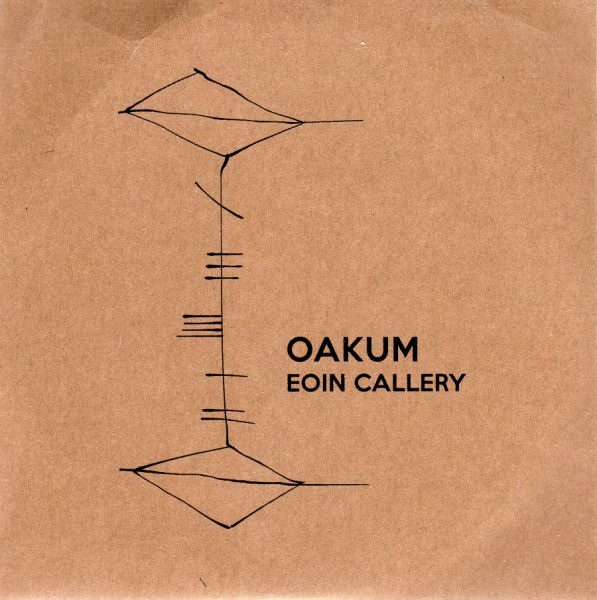 The set-up to Oakum (described on the back cover) is a bit beyond me, but it involves feedback patches controlled by a piece of software, and live processing using more software. Microphones are placed near an object; for ‘Maypole’ it was a violin bow, while for ‘Oakum Day’ parts 1-3, it was a violin bow and string. From this simple array, we’re hearing some very interesting process experiments arising from this amplification. It’s a bit like the “microscopic examination” school of electronic music, except that Callery is clearly more concerned with creating something beautiful and compelling, and not just another slab of digitally-processed feedback. I especially like ‘From Strands to Strings’, where he does it using an electric guitar; this is much less abstract than the violin noise, and it drifts in and out of musical forms in a droney and dreamy way. You can hear everything from traffic sounds to solar winds in this complex harmonic cloud. All above from 10th October 2017.